I am here to do Sentiment Analysis of twitter dataset and trying to make it a generalize platform irrespective of twitter or any other source , so dimension and size of training data is actually large and it will grow on. Well first I found R is not same traditional way of coding so comfort was question but making things in R is extremely easy. So that can't be the only reason to try in python. Python is nice language and NLTK library made NLP very easy and loads of example are there and at-least NLP is very powerful with nltk library along with that scikit-learn library (machine language algorithms). Its very easy to code in Python compare to R in my view. Brilliant support with Hadoop Streaming for python so I will vote up for Python again. I means it has loads of step before reaching the goal so it no way an ordinary task but once you are clear with the concept, its neither tough. and it ran in very small time of around 10 sec and then some accuracy test with precision test more 10-20 seconds and thats done. The file size was approx. 500kb thats all and it took 20 to 30 seconds. Cool thats brilliant , 30 seconds and all set. But is it enough ? Are we set ? Then why do I need Bigdata framework ? On exploring more I found there is a brilliant sentiment dataset available in sentiment140 and the file size was about 250mb or precisely the records number are 1600000, thats a pretty decent size for getting a proper result of sentiment analysis. So I was all set and ran the same algorithm with this new dataset or file. The file contains positive and negative statements collected from twitter so I changed the file name and ran the python script. Damm!!! my system is quite good config even memory exception . What... can't I run this, well no I can't. I tried several times and I tried the same with high config Windows as well as Mac machine and same thing, Memory Error. So I was left with only one choice , try the same in Bigdata platform and see atleast it must run there and I ran the same program but in Hadoop YARN environment & Spark and finally it ran but at what cost ??? It took more than 14 minutes to finish the job. So 14 minutes for 1600000 records , but I need to deal with 20 times of this size , how the hell I am gonna do that. 20 * 14 minutes in simple mathematics and that won't happen because resource utilisation , memory factor will anyway raise the time more and more. So is it really a feasible option? Now Spark fits here . I am surely not gonna explain the changes but I must admit that there were pretty important changes almost everything to parallelise the process the basic concept behind Bigdata framework including Spark. 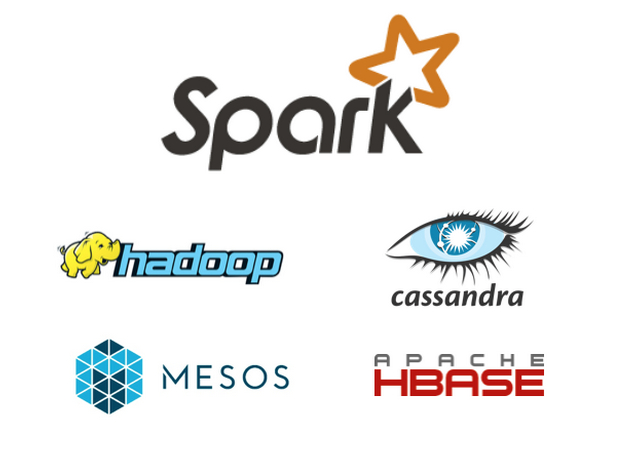 In current days, when there is unlimited data source then its very hard to restrict yourself if there are technologies available to handle the size and dimension of data and Spark is an excellent fit for Big Data but in machine learning its not only about running the algorithm but ignoring those now BigData platform or technology stack is actually brilliant source.